"If you’re at all serious about the sound you feed your head, you’ve already replaced whatever craptastic headphones (aka earbuds, earphones, or in-ear monitors) came in the box with your digital media player of choice. Now you’re ready for another upgrade, and with the economy in turn-around mode, you can afford to splurge just a bit." Maximum PC has done a review of six pairs of sub-$100 earbuds. I highly recommend reading the review and if you still use the cheapo earbuds that came with your MP3 player of choice, consider upgrading if you care at all about the sound quality of your music. It's the best thing you can do for your musical enjoyment after upgrading to a Zune. 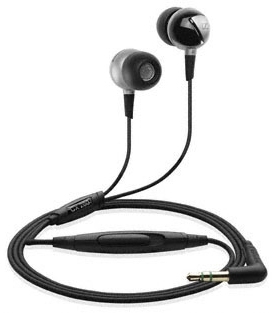 We've done some reviews here of some really nice Shure earphones like the SE530 and SE210 and I still think if you really want to truly experience your music the way it was meant to be heard, you should step up to some high end cans. If you're not convinced yet at least do yourself a favor and get a mid-level set of earphones. My first 'nice' headphones were in this price range from Sennheiser and opened me up to a whole new musical experience. So go read all the reviews and then think about it!